Production is underway on the conclusion of the sequel trilogy, with principle photography on Star Wars Episode IX currently taking place primarily in the UK. Even though the secrets of the film's plot remain closely guarded, pictures of the set are still managing to make their way online. Back in August we saw a couple of main characters out on location in the UK, and then earlier this week, we caught a glimpse of production being prepped in Jordan. 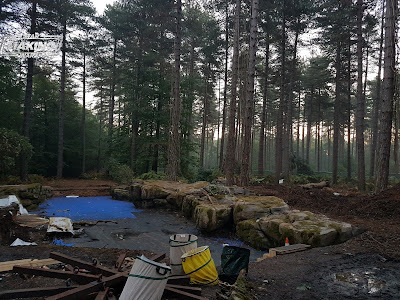 Now MakingStarWars.net has released some new pictures from the filming that took place at Black Park near Pinewood Studios. While the pictures don't feature any of the main actors or reveal any major plot points, for those who are trying to avoid all Episode IX details we are going to issue a Spoiler Alert! If you don't want to know anything, stop reading now. For those who are interested, scroll down (and don't share this with anybody who doesn't want to know). You can see more pictures from the set over at MakingStarWars.net. 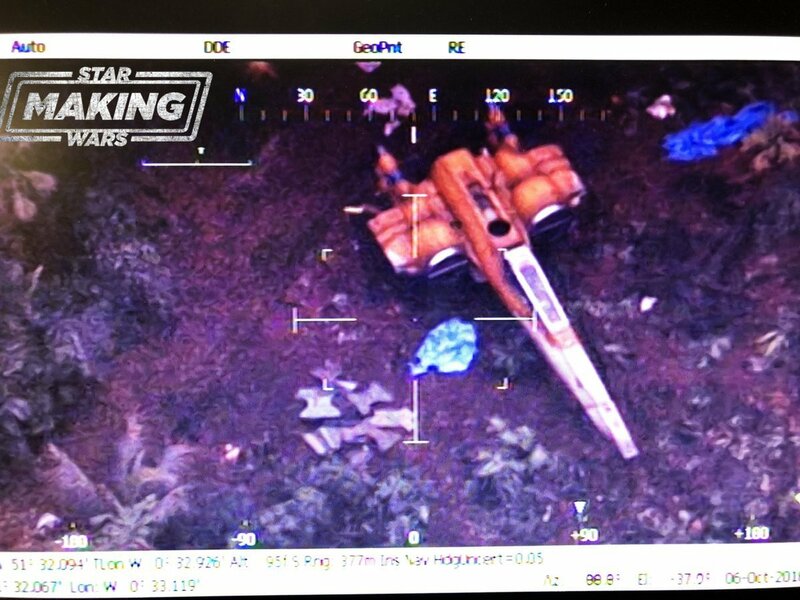 Obviously the big stand out from the new pictures is the Orange X-Wing. 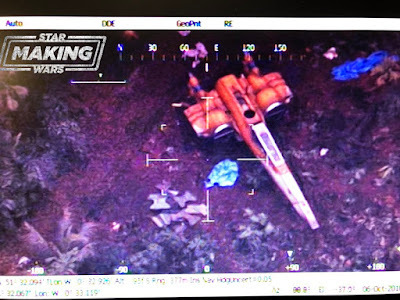 To this point the only main character we've seen piloting an X-Wing is Poe Dameron, could this be his new ship? Or might we see Finn, Rey, or Rose also jump into the cockpit on an X-Wing fighter in the new film. Previous pictures of Black Park also showed the Millennium Falcon was there. Perhaps we're seeing a meeting point for some of the key members of the Resistance, though there is always a chance that Black Park is being used for multiple locations in the film and having both ships in the same area is just a coincidence and has nothing to do with what's actually going on in the film.